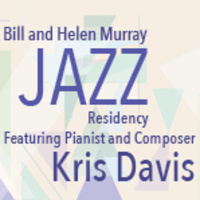 The Bill and Helen Murray Jazz Residency presents two performances with pianist and composer Kris Davis. The first on Nov. 29 features Davis in concert with bassist Michael Formanek, drummer Tom Rainey and trumpeter Dave Ballou. On Dec. 1, Davis and students of the TU Jazz Orchestra will perform a concert of her original music.